He’s such a gentle giant — and now everyone can see that. 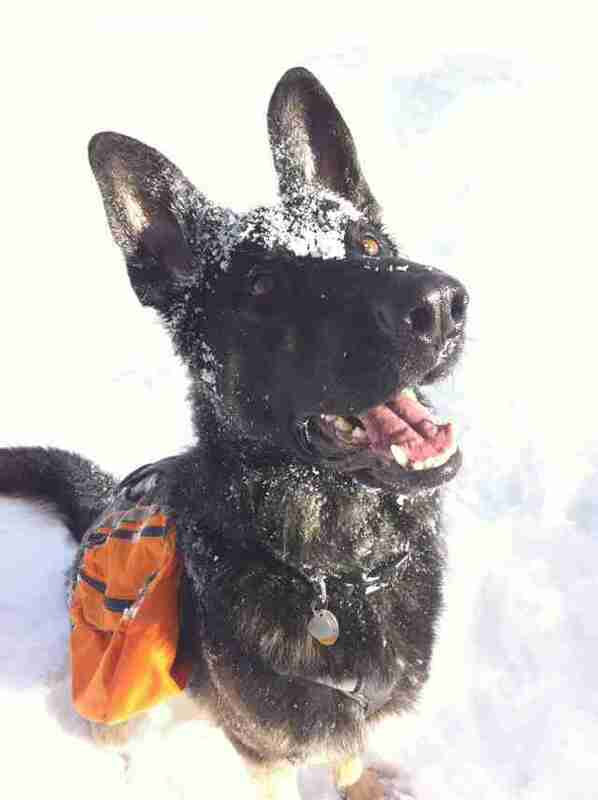 Rome is a 5-year-old German shepherd who absolutely adores going out on adventures with his family. He loves swimming and hiking, and occasionally likes to run ahead of his family on the trails — which is how they realized that sometimes people seemed to be a little afraid of him. 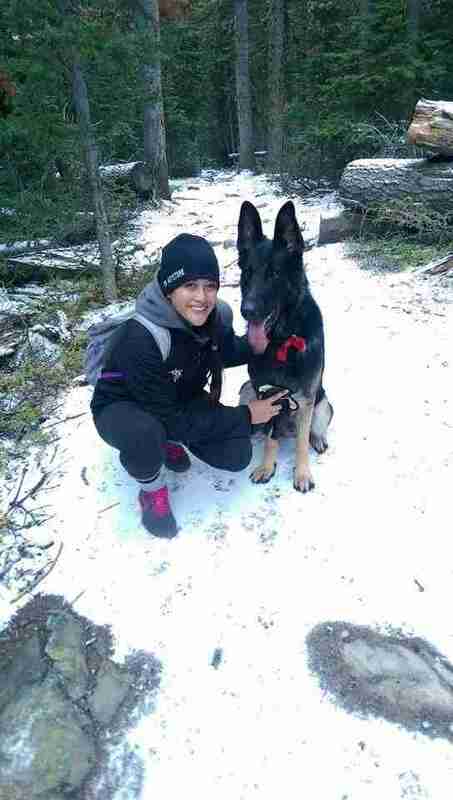 Rome is about half a foot taller than most German shepherds his age, making him a little intimidating to some people. 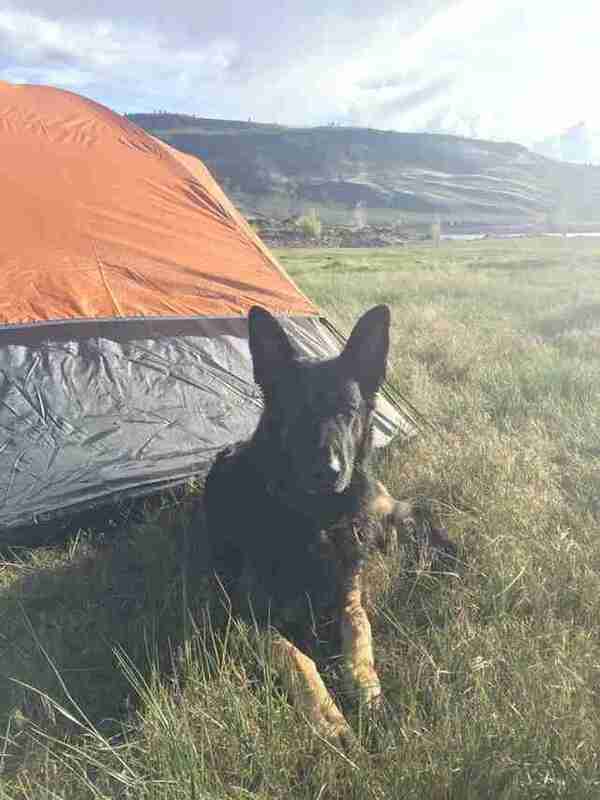 Some people, his family has noticed, are also a little scared of German shepherds, as they are sometimes mistakenly considered a “dangerous” breed. Really, though, Rome is just a gentle giant, and always has been. While out hiking, Provost noticed that people used to quickly ask if Rome was friendly while backing away from him, and therefore she had to worry about him coming across people on the trail before the rest of his family had caught up, as she didn’t want him to startle anyone. She desperately wanted to find a way to fix this — and then one day, she accidentally stumbled upon the solution. 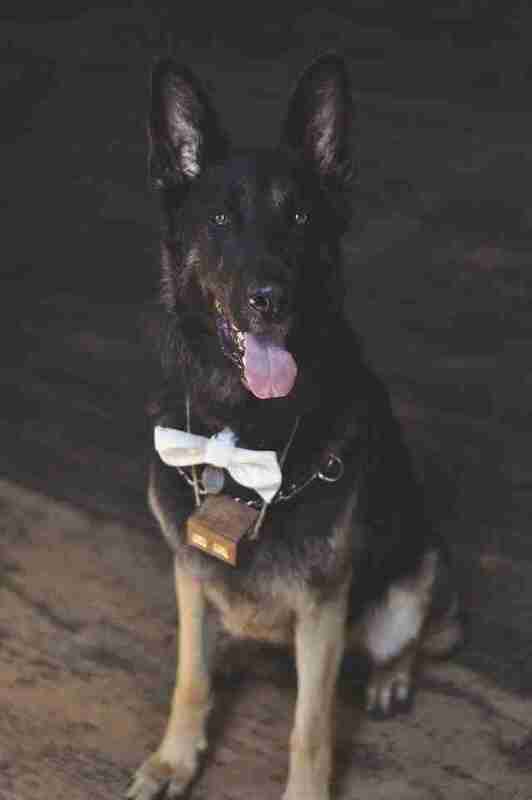 As soon as Rome began wearing his bow tie out and about, people reacted to him differently. 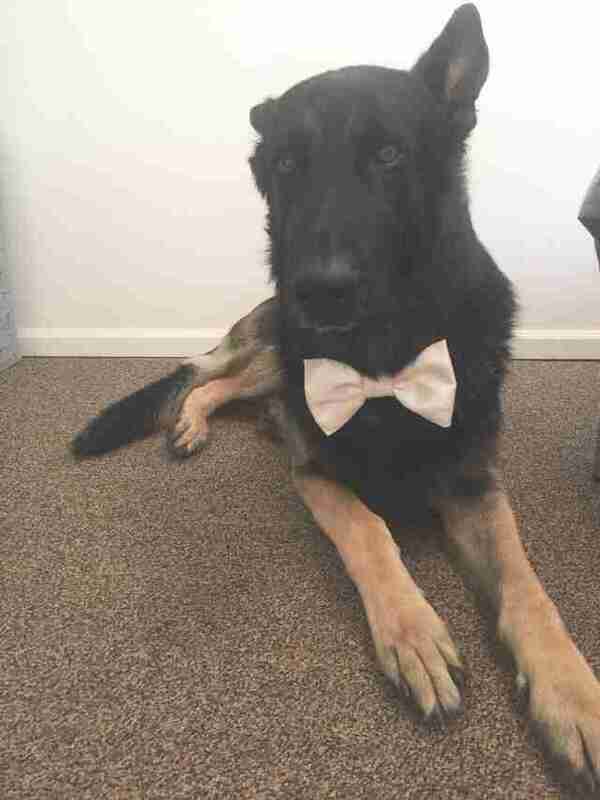 His bow tie became the first thing they noticed rather than his size, and it helped them see what a goofy, friendly dog he really is. “Almost everyone comments about how much they love it,” Provost said. Now, Rome wears either his bow tie or a cute little backpack everywhere he goes. His outfits are colorful and inviting, and allow people to see him as the gentle giant his family has always known him to be. He can now go on all the adventures he wants with his family without having any issues, and can easily approach anyone for pets and love, because in the end, that’s all this big, lovable guy really wants.